Please join us for an afternoon of Art, Fashion and Beauty! One day to Experience Art, Shop and Connect! YASOU – natural organic skin care! 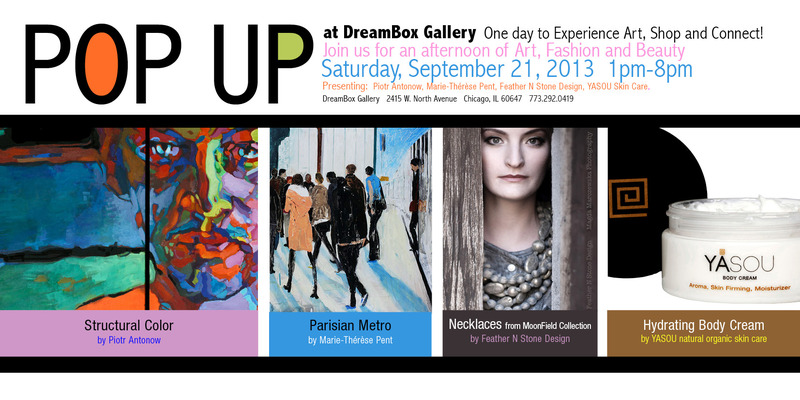 This entry was posted in Openings and Events and tagged Chicago, Dreambox Gallery. Bookmark the permalink.